The Program is designed for executives preparing for senior management, and is therefore tailored to the needs of the participants and their companies. The aim of the program is to prepare future senior managers to successfully lead organizations in a constantly changing environment. The program utilises the most up to date global management techniques to broaden our participants' professional and social skills. The Kellogg-WHU Executive MBA Program is consistently ranked one of Europe's top EMBA programs. The degree is jointly offered by Kellogg School of Management at Northwestern University, USA, and the WHU-Otto Beisheim School of Management, Germany. This prestigious degree program integrates all managerial disciplines, focusing on a synthesis of US and European management knowledge with a global perspective, designed to foster the team leadership skills of international managers. The schedule allows executives to continue their careers while actively participating in the program, giving students the opportunity to apply their new skills in real-time to workplace situations. The program consists of 600 class hours (45 minutes per class session), scheduled over a two-year period: Twelve weekends and six live-in weeks. The program is divided into 11 modules and comprises 30 courses. For more information about The Kellogg-WHU Executive MBA Program, please submit an information request below and the school will contact you with further information. This two-year, part-time general management program leads to the degree of Master of Business Administration (Kellogg/WHU). 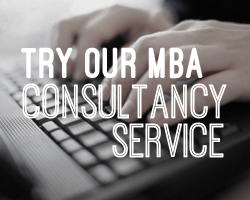 Fill out your details to find out more about The Kellogg-WHU Executive MBA Program.